Facelift in Charlotte- get more information now: “SignatureLift” is a name for one of the less extensive facelifts available in Charlotte, NC. The deep plane facelift, the most extensive procedure, can make a patient look ten to fifteen years younger. It’s the best procedure for someone who wants to look a lot younger and keep looking that way for a long time, especially if he or she has never had facial plastic surgery before, and is often performed along with a neck lift, brow lift, eyelid surgery or other procedures. The only downside, besides the cost, is that the recovery time is at least two weeks, and even then the swelling might not have gone down completely. For someone who only needs surgery in the midface area, a deep plane minituck might work better.Because no two faces start out alike or age the same way, every facelift has to be customized to the individual patient. There’s a lot of disagreement among cosmetic surgeons on the merits of the “weekend facelift,” a facelift that’s cheaper than most facelifts and involves a lot less surgery, with a recovery time of only two to three days. The problem that some of these surgeons have with it is that it has the same risk of complications as any other procedure, but the effects don’t last nearly as long. Not only do all surgeries have to be carefully tailored to the patient, the patient needs to know exactly how much effect to expect. The patient for a weekend facelift should appear to be in his or her forties or early fifties, and should have relatively little loose skin around the neck. Many facial plastic surgeons perform their own versions of the weekend facelift. The best version available in Charlotte, NC is Dr. Sean Freeman’s SignatureLift. 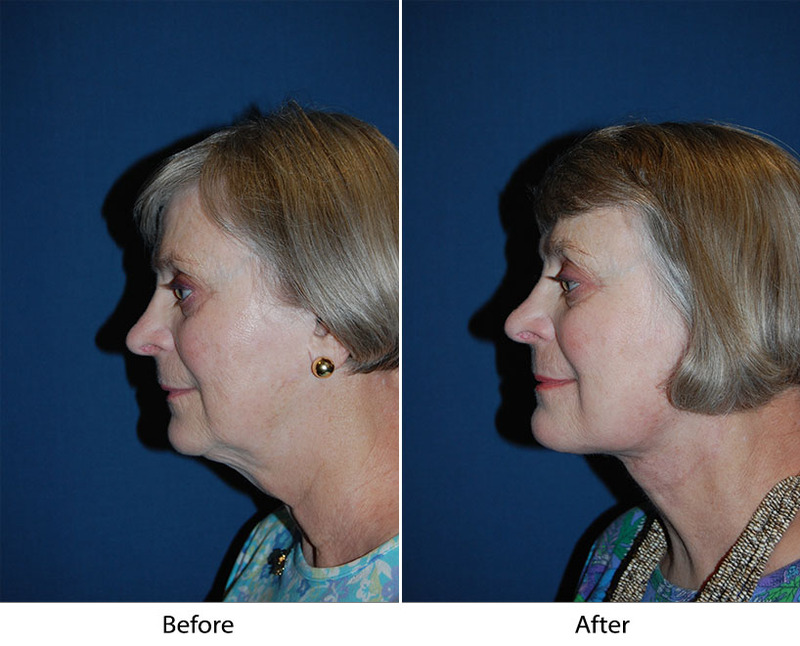 This procedure works well for younger patients, as well as those who’ve already had face lifts. It can be done under sedation instead of general anesthesia, and most patients return to normal activity after only a few days. The sutures stay in for five to six days, but they can be hidden if your hair is longer. Dr. Freeman is Charlotte’s best facial plastic surgeon. He has devoted himself completely to facial plastic surgery since 1988 and has been certified by two different surgery boards, the American Board of Otolaryngology (head and neck surgery) and the American Board of Facial Plastic and Reconstructive Surgery. He can do anything from laser tattoo removal to port wine stain treatment. If you live in or near Charlotte and are interested in a SignatureLift, schedule your appointment today or ask for an online consultation for a discount on the consultation fee.